Due to our enormous understanding and massive knowledge of this business, we are involved in offering Stainless Steel Enclosure. Owing to our affluent proficiency of this area, our entity is involved in providing an extensive range of Stainless Steel Enclosures. Backed by a diligent and highly qualified team of professionals, we are engaged in presenting supreme quality range of Plug and Socket Steel Enclosure (Without MCB) to the market. These offered boards are accurately engineered utilizing top notch quality material and advance technologies under the guidance of our experts. Matching up with the ever increasing requirements of the customers, our company is engaged in providing Sheet Steel Enclosure. 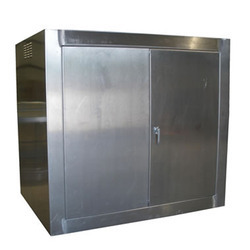 We are Leading in Manufacturing of Stainless Steel Enclosure for Various types of Panel. 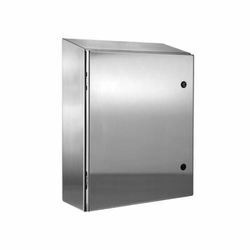 We have carved a niche amongst the most dominant names in this domain, involved in providing superior quality range of Stainless Steel Enclosure.